In traditional publishing systems,researchers submit their articles to journals. To have access to these journals, institutions pay subscription fees to the publishers of these journals. The rising cost of these subscriptions (often sold in packages), were one of the catalysts of the rise the Open Access movement. 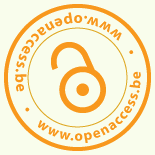 Open Access publishing means that the costs that come with the publishing process are no longer funded by charging subscriptions to the end users (= the reader or the reader’s institution/library), but are being funded in other ways. This means of publishing is actually quite booming in recent years, and it comes with a lot of experimenting when it comes to business models. Currently, the best known business model is the one where publishers ask Article Processing Charges – where authors pay a fixed fee to cover the editorial costs publishers make. However, this is not the only way to fund this: a lot of publishers find resources in other ways. Over the last years, Open Access publishing has actually become quite big business (see, for example, this article in Nature ), with both new publishers coming up with innovative businessmodels, and established publishers re-branding existing journals or creating new Open Access journals. Internet and open source software such as Open Journal Systems have made online publishing relatively easy, which also means that it is sometimes difficult for authors to identify decent Open Access publishers. In combination with the APC-charging model, the immense proliferation of Open Access publishers has unfortunately also created opportunities for ‘predatory publishers’, OA publishers that are only interested in the article processing charges and don’t offer quality peer review. If you are in doubt about the quality of the journal you want to publish in, there are several resources on the web to help you along. Is the journal featured on DOAJ (Directory of Open Access Journals)? Is the publisher a member of OASPA (Open Access Scholarly Publishers Association)? On OASPA, you can find a listing of ‘Principles of Transparency‘, which is basically a list of characteristics trustworthy Open Access publishers should have. If you’re in doubt, it’s well worth a consultation, although this list is very much common sense based – so not much surprises there. A pretty useful list was also featured at the bottom of this blogpost by Gunther Eysenbach following the October 2013 Science article (Who’s afraid of peer review? ), an article that – though it has been heavily criticized for its own questionably research methods and lack of peer review – does point out the need for heavy quality control when it comes to Open Access Journals (one could argue that this problem is not only limited to OA journals, but as OA publishing has become ‘big business’ the focus tends to be on this form of publishing).